Being an expert of ODOO Since 11+ years, we have been releasing some useful tips and news around Odoo every month. Here we go for Sep 2018. Please note down the ODOO tips coming out of Media around ODOO especially Twitter and Facebook. Let's thank to them. #odoo based visitor management solution with an #Android mobile application #GatePass solution, registration management https://youtu.be/lSHLshPjKJo @Serpent_CS answers yet another industry problem. The #Odoo team is cooking something nice in standard to address partial payment allocation. Introducing: the magic pencil. TIL that you can set the SEO meta tags in #Odoo from the XML <template> or the XML <record> (with model='ir.ui.view): <meta t-set="website_meta_keywords">meta1, meta2</meta> When you set it in an xml <view> record you can also manage meta keywords in multi-lang from the XML! 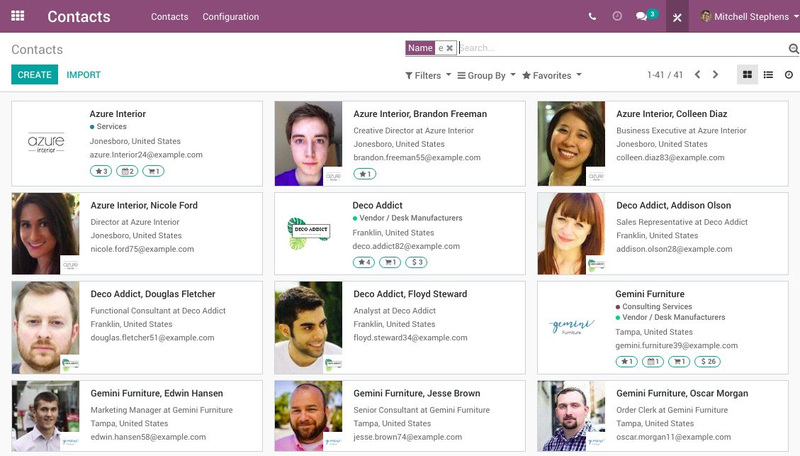 #Odoo R&D peek: Improved employees and contacts view in Odoo 12. #Odoo RD Peek: Improved SEO tool for website pages. You can now see how keywords are used in the page content (page title, description, H1, H2, content). The more checks the better. 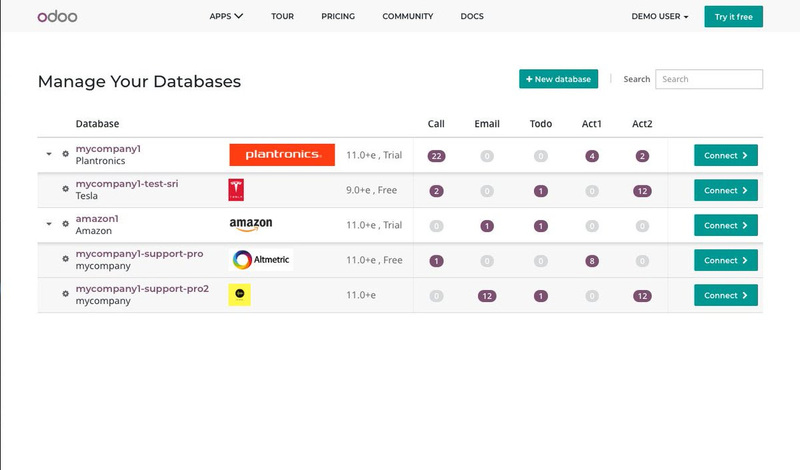 New database manager for #Odoo online. Check activities you have to do, cross databases. #Odoo RD Peek: The long awaited product configurator is on its way! Our team is rushing out to finish it for Odoo 12. Choose attribute values from the sales order, choose options and options of options..., easily exclude combinations of values, and many more. Odoo news in April 2018. Odoo news in May 2018. 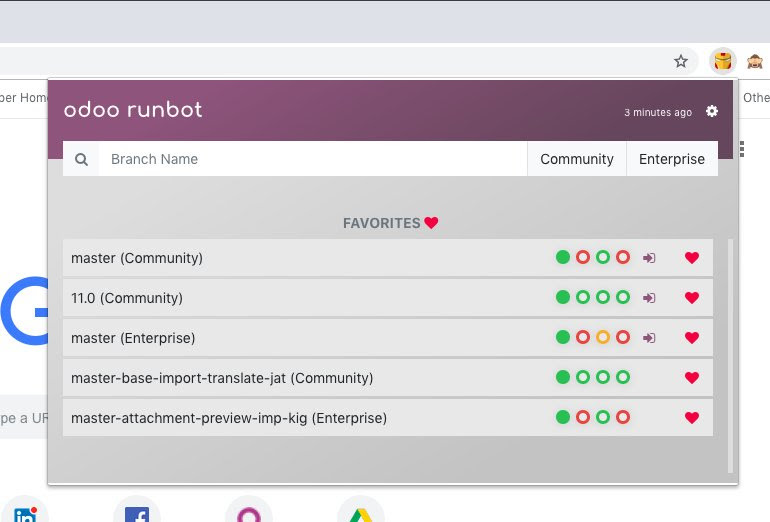 Odoo news in June 2018. 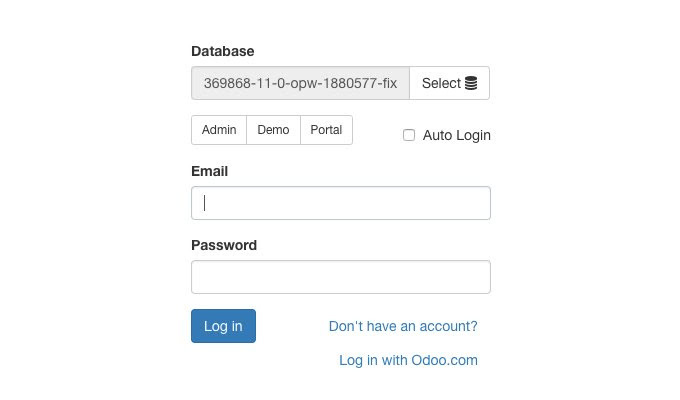 Odoo news in July 2018. Odoo news in Aug 2018. Serpent Consulting Services Pvt. Ltd. is providing various ODOO services in more than 171 countries. Our services includes Training, Support, Migration, Implementation, Development and offshore. 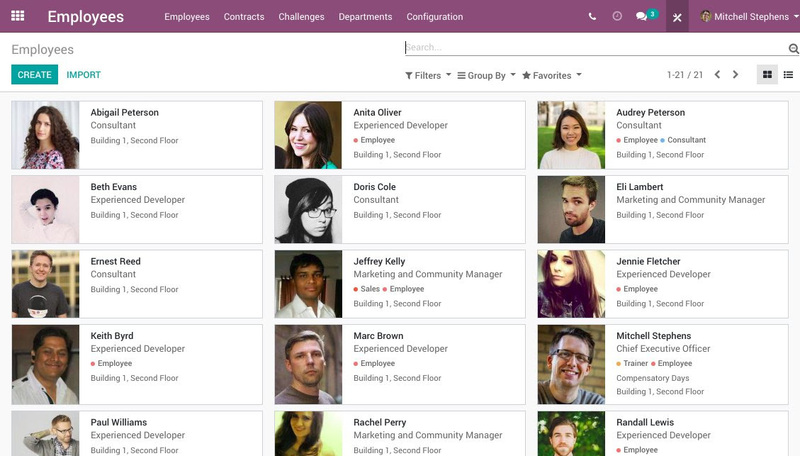 We are a team of 86+ full time OpenERP/ODOO experts and having 11+ years of experience in Odoo/OpenERP. We have conducted 93+ local and international functional and technical training on OpenERP with 96% satisfaction ratio.